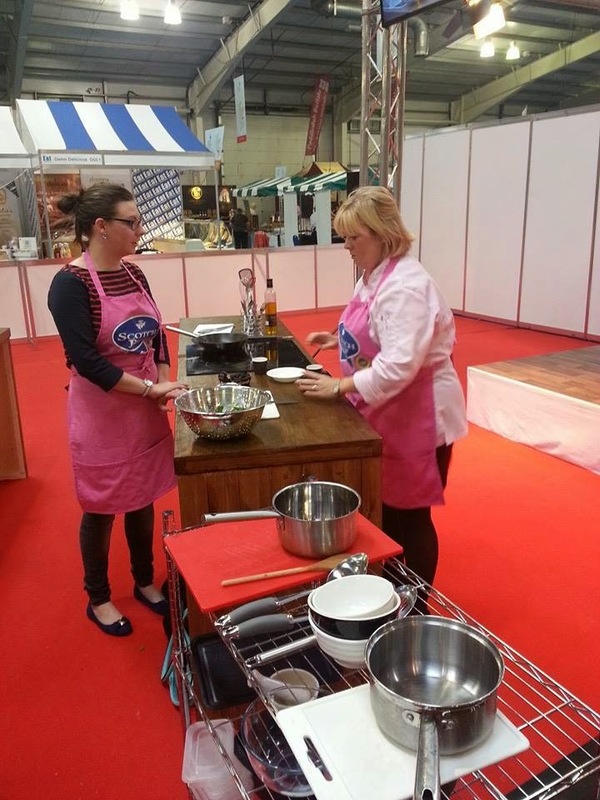 Last week What Claire Baked and Grub Glorious Grub went on tour to the Eat, Drink, Discover Scotland Show at the Royal Highland Centre Edinburgh. Originally we’d planned to go for a wander but took a last minute decision to book onto one of the masterclasses. After looking through the options we settled on the venison masterclass on the Saturday morning… and we were in for a treat! We turned up expecting a full class and discovered that we were the only ones booked on *concerned face*. After a slight panic that it was going to be cancelled, the class went ahead anyway and we ended up in private cooking class with Jacqueline O’Donnell. For those of you who don’t know. Jacqueline is one of “The Sisters” who own The Sisters Restaurant in Glasgow. She was also one of the contestants on the recent series of The Great British Menu. And she couldn’t have been nicer. When someone turns up for a class with a mini bottle of Prosecco and a straw for you, something inside tells you it’s a fun session ahead! Jacqueline started our class by teaching us about the different cuts on the animal and the best ways to cook the cuts, to bring out the flavour and make sure you aren’t stewing a prime cut when you should be frying it. We were also taught about sad pans and happy pans – making sure that you never put venison into a cold pan and that it should be a temperature where you can hold your hand above it without touching the pan and not feeling it’s too hot. One of the other lessons we had was the importance of resting meat before serving. The outside temperature and inside temperature should meet and come together when it’s resting. Jacqueline was more than happy for us to ask as many questions as we wanted to: not just about venison! We asked her about getting into the industry, the issues she faced as a female running a kitchen in a male dominated world and what she’d learnt along the way. She told us about the chaos of her opening night and that it was never advisable to book everyone in for 8pm! But back to the cooking. 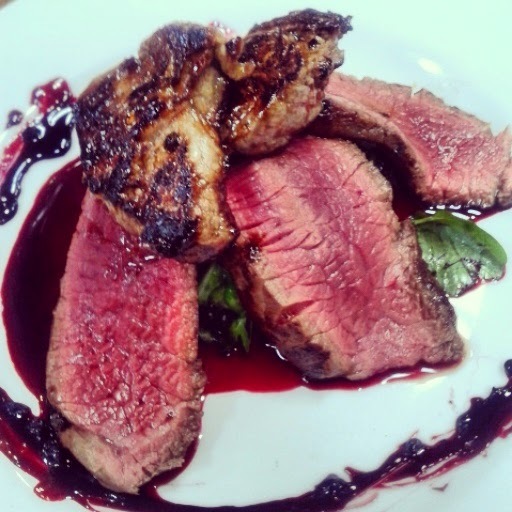 We used both the loin and the fillet in the masterclass from Seriously Good Venison, cooking the loin first. One of the great things that came out of the session was leaning that it’s better to heat your pan, coat your meat in oil and season it, then drop into the pan rather than oiling the pan. Now there’s something I didn’t know! We also had to make sure that our meat was seared on all sides to seal it. Getting my hands into a pan was a new experience! Note – I have asbestos fingers. Then we began making our sauce. 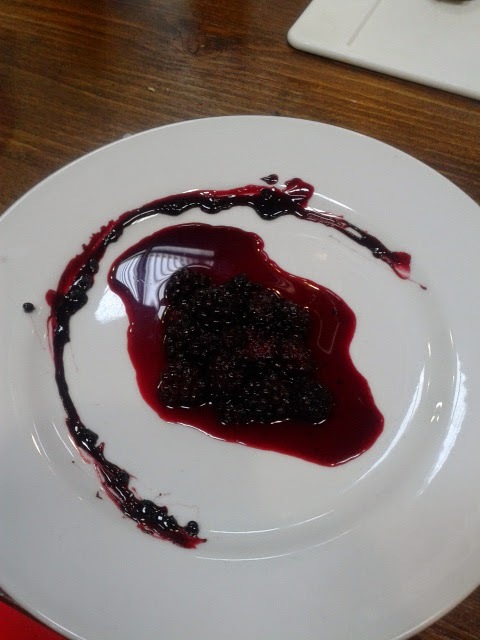 We used local blackberries, which we cooked down with a bramble vinegar from Summer Harvest, based in Perthshire. We then removed the meat to rest. 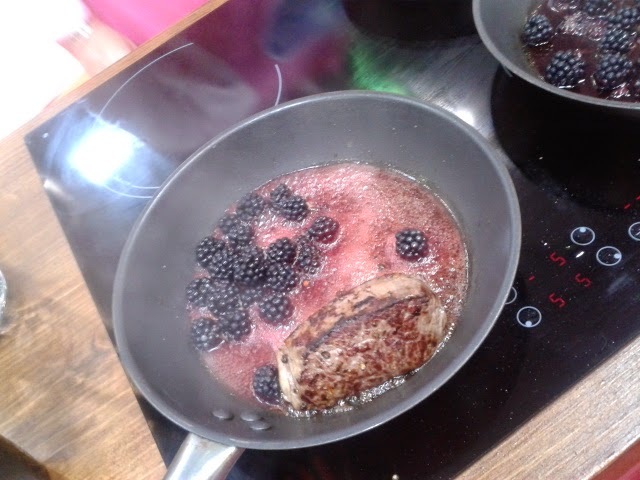 Once the berries had cooked down, we removed them from the pan and plated up in the middle. We then let the juices and vinegar reduce into a shiny, gorgeous looking glaze, which was used to decorate the edge of the plate. We then got cracking with a very simple salad, lots of greenery, a little rapeseed oil and salt and pepper, which we mixed together. Top tip: to shape salad leaves, one mixed, press together into your hands. It looks much more professional. We finished off by cooking the fillet for a few seconds on each side before resting it and plating up. Can't quite believe we made this! Jacqueline was a fantastic teacher who was so down to earth, willing to answer our questions and even after our lesson finished, had some time to spare to sit and have lunch with us. We had the opportunity to chat and she was so encouraging to us as foodies enjoy something we are passionate about. All in all… it was an amazing experience. Something we may never have the chance to do again. It just shows you… the early bird really does catch the worm. Or a private cookery lesson in this case! Our next plan is to go for dinner at The Sisters in Glasgow… we might even take the boys if they are good! How wonderful to accidentally get your own private cookery lesson Claire! Glad you had such a fantastic time. 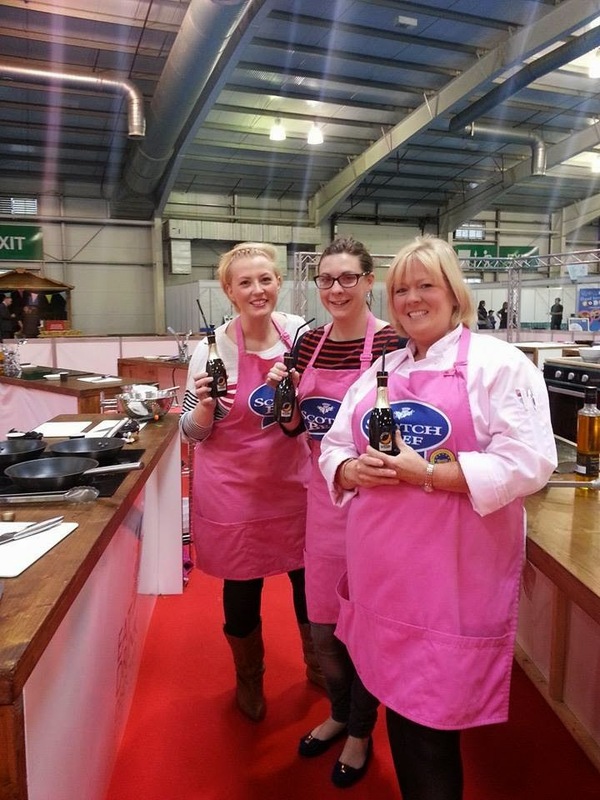 I was so impressed with Eat, Drink, Discover Scotland and indeed with how lovely Jacqueline is! Hi Vohn, glad you enjoyed your day as well. The demo kitchen was fab! We were delighted to end up in a private class with an amazing lady!